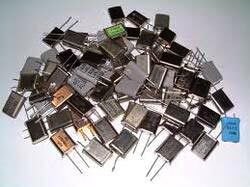 We are counted among the preeminent Suppliers of Crystal Oscillator. The oscillators we make available are manufactured in adherence with international quality standards. Strict quality-tests ensure that only defect-free oscillators reach the buyers. Buyers are free to place bulk orders of the oscillators with us and we ensure their timely execution. One can obtain these at reasonable rates from us.